BARELY a week after Informanté reported that officials from the City Police and the Ministry of Gender Equality and Child Welfare raided a house in Dolam, Katatura, after it was discovered that a large number of teenagers were engaging in in drugs, some of the children were back at it again. 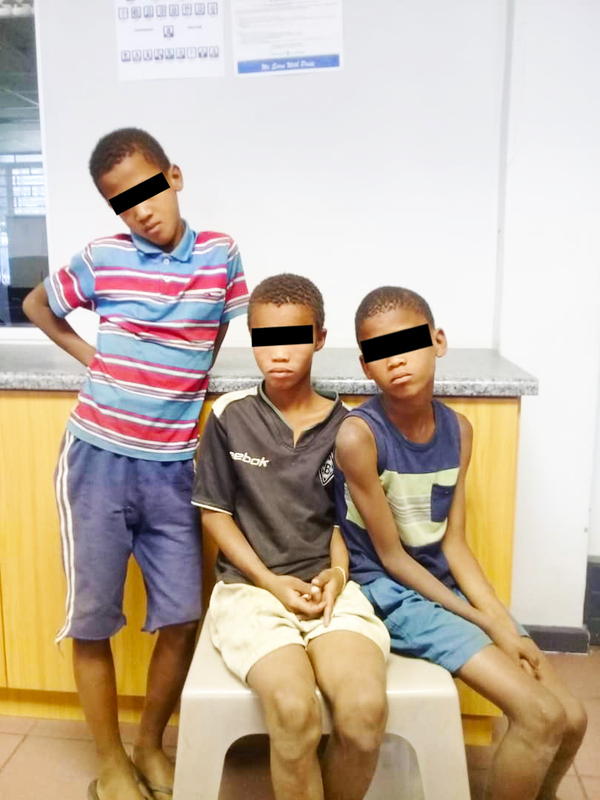 On Monday morning this week, City Police was once again alerted by a mother of one of the boys who was also found at the house during the first raid that the 10-year-old child was again begging for money on the streets and bunking school. Diane (not real name), 39, said she was alerted by someone that her child was seen asking for money at traffic light and immediately sought the help of City Police to assist. City Police and Diane went to the house in Dolam where the previous raid took place and caught the child in the company of three other boys smoking dagga. One of the boys ran away, but Diane’s son and the other two, both aged 11, were taken to the City Police head office where the Ministry of Gender Equality and Child Welfare was contacted. During the previous raid, 45 children were caught in a shack at the back of the house of Amalia Boois, who was afterwards reprimanded by the City Police for allowing the illegal activities to take place on her property. City Police Chief Public Relations Officer, Fabian Amukwenye, said following the recent incident, no action has yet has been taken against Boois. Diane said her son is in Grade 4 and has lost his hand in an accident involving a meat cutter two years ago. According to her, he uses his disability to solicit sympathy when begging for money. Amukwenye, confirmed that Diane’s son was released in her custody and the other two were send to the after care center of the Ministry of Gender Equality and Child Welfare from where they will be placed in schools in other regions. Amukwenye urged the public not to give money to children who are loitering at the traffic intersections in Windhoek because they use the money to buy drugs. He said the children can make up to N$200 a day. “The social workers even try to speak to these children but they don’t listen, they go back to the streets, even when they are taken to shelters they go back to the streets, said Amukwenye. He added that the arrest of street children in the capital has become a common occurrence. Those arrested are generally taken to the Ministry of Gender Equality’s after school center afterwards or re-united with their parents or caretakers if they are traced. Previous : NOT “Its Just Politics”!